We have a compiled a useful list of local attractions near our Harrogate sofa store. Why not pop in browse our huge collection of sofas and fabrics then see if you can visit all these fantastic places on our ready made list. 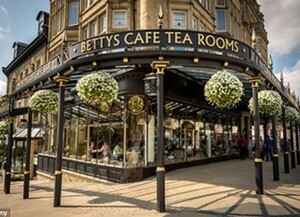 Whether you are looking for a hearty English breakfast, a light bite for lunch or a three-course meal, your day out wouldn't be complete without a visit to Bettys. 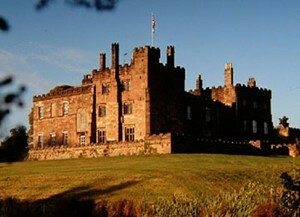 Ripley Castle and Gardens, situated on the edge of the Yorkshire Dales National Park, is an historic attraction open to the public all year round and in a beautiful location. 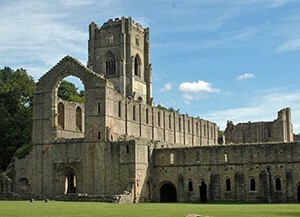 3 miles north of our showroom is Fountains Abbey, an 800 year old Cistercian abbey; the largest abbey ruins in Britain, and now a World Heritage Site. If you have the kids with you, Lightwater Valley Theme Park is 175 acres of action-packed adventures. 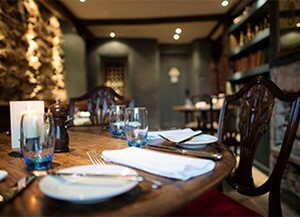 Fancy a really top notch lunch, to celebrate the sofa you have just bought? In that case, The Malt Shovel at Brearton is pretty hard to beat. The food is seriously good, which means finding the energy to walk afterwards is well nigh impossible.